Are You an Apple iPad User? Then This Is For You! For quite some time now, those who surf the Internet through their mobile phones like Apple iPad, iPhone and iPod Touch have been grudging with complaints. A sizeable majority of them was struggling to get easy and quicker access to websites, especially if there is video content. When they were eager to view the video portion, there appeared an annoying message box on the screen saying “DNS error”. For such of those who are not yet familiar with what DNS is a brief intro. When you access a website through the web browser, in micro seconds the Domain Name System converts the name of that website into its IP address and the website appears on your computer screen (or your mobile screen here). This fault is happening because of the inability of the software application installed in the mobile phones, which needs upgrading or refreshing. As you are aware, Apple Store has been releasing innovative software solutions periodically, for use by their customers in millions all over the world, who possess any of the mobile devices of iPhone, iPad or iPod Touch. In that series there has been efforts going on to identify and supply a suitable software solution, for a powerful web browser application in these devices. As a happy ending of these complaints, the latest approval of Apple Store has been accorded to a sophisticated web application, called Browse2Go web server. This exclusive software application of Browse2Go just released for download by users of iPad, iPhone and iPod Touch hand-phone devices makes your web-surfing hassle-free and a happy experience. Before going further into the utility value of Browse2Go Flash Video Web Browser, the technical details first. This software is manufactured by the renowned Mirsis Information Technologies. The latest version of this web browser is 1.2.4.000 and updated as on 16-12-11 and the size for downloading purposes is 6.9 MB. Now what is so special about this so called Browse2Go Flash Video Web Browser? Well – it is fast in accessing websites; exclusively made for iPhone; iPad and iPod Touch latest models in the market; you can easily reach the desktop version of websites, especially those which have video contents, unlike before. No DNS failure indications nothing and you can play millions of Flash Video games as you like, as the software enhances the Flash Support in your mobile devices. Browse2Go v1.2.3 is now available on App Store. Reduced the time required for the connection. Reduced the time required for the convertion. Passing into Sleep Mode while watching video(Bug) is denied. Enabled answering incoming calls or responding emails without shutting down the application. Watch your favourite series, movies and flash videos anywhere with better performance. Browse2Go v1.2.3, App Store'dan erişilebilir. Video izlerken uyku moduna geçiş hatası düzeltildi. Gelen arama ve e-postalara uygulamayı kapatmadan cevap verilebilmesi sağlandı. En sevdiğiniz dizileri, filmleri ve flash videoları her yerden daha iyi bir performansla izleyiniz. "İnternet Sörfünün Özgürlüğü" sloganı ile pazara girmiş olan Browse2Go, kullanıcılarına istedikleri içeriğe erişim serbestliği sunmakta. 5 Ekim tarihinde App Store'da yayınlanan uygulama, bir haftalık süre içinde dünyadaki tüm ülkelerdeki kullanıcılar tarafından talep görmüş durumda. Browse2Go which is recently approved by App Store is launched. Now it is possible to reach flash content on the web. To enjoy freedom of web surfing visit the App Store. For more information about Browse2Go, please visit the web site or Facebook page. Browse2Go is approved by App Store! Mirsis Information Technolohies launched first application within the scope of mobile services. 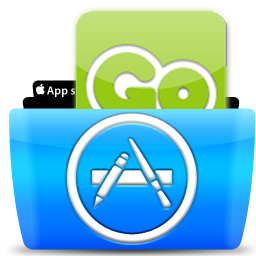 The iPhone and iPad application Browse2go recently presented to the approval of the App Store. Browse2go is a browser application that designed to address inadequacy of Flash support on IOS systems.